In a city like Mumbai, particularly amid monsoon, you don’t anticipate that everything will be hunky-dory. When I saw an old lady looking bewildered standing in the street trying to catch a cab, I decided to help her out. She gave me her blessing and left. That’s when I thought to myself , does an umbrella imply togetherness . At the end of my article, you will think about it. I came here to uncover the world’s biggest Umbrella with 60ft in breadth. 2000 laborers smoldered the midnight oil and made this Iconic Umbrella. It is 30 ft tall Umbrella that can shelter 1000 individuals. 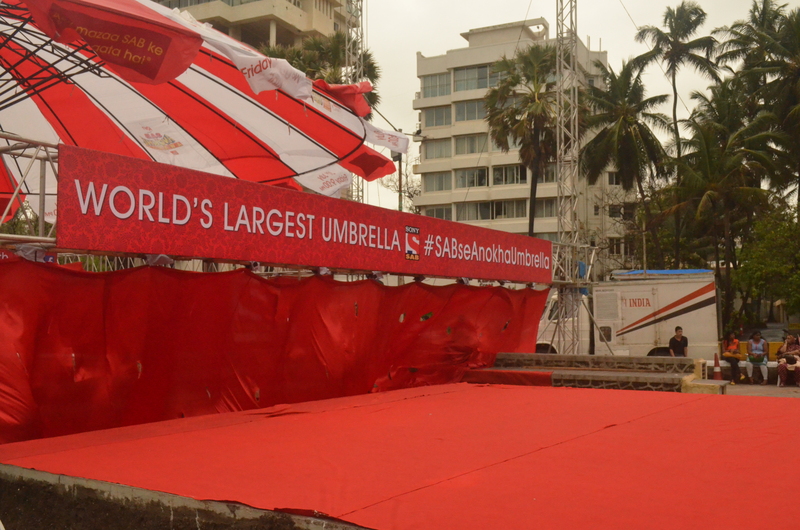 Gentlemen do look at it this #SABseAnokhaUmbrella which is at promenade zone, Carter street, Bandra.It connotes the soul of fellowship and elevates individuals to tag along under one rooftop where society is separated by class, races, religions and so forth. The zinger of SAB TV finishes it exceptionally well – “Asli Mazaa sab ke saath aata hai”. 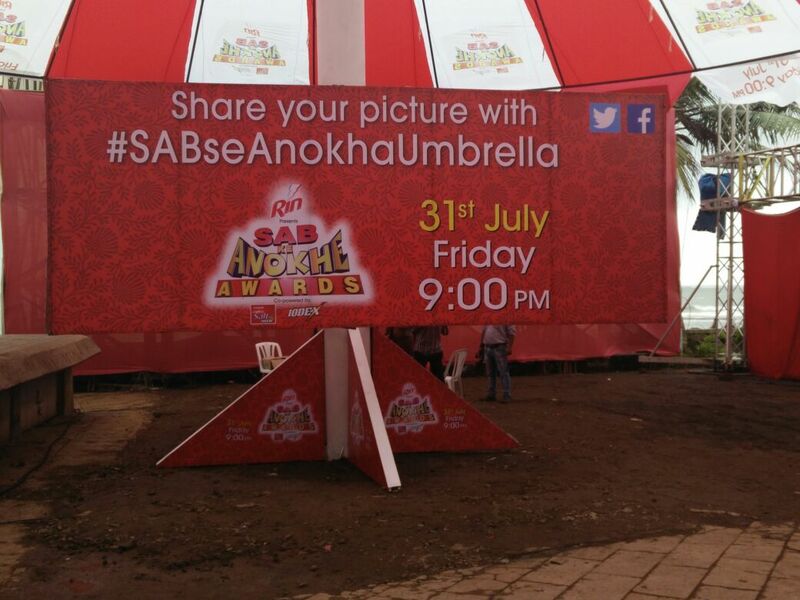 SABseAnokhaUmbrella was unveiled by Television actor, Manav Gohil who plays the role of Yamraj in Yam Hain Hum on SAB TV. 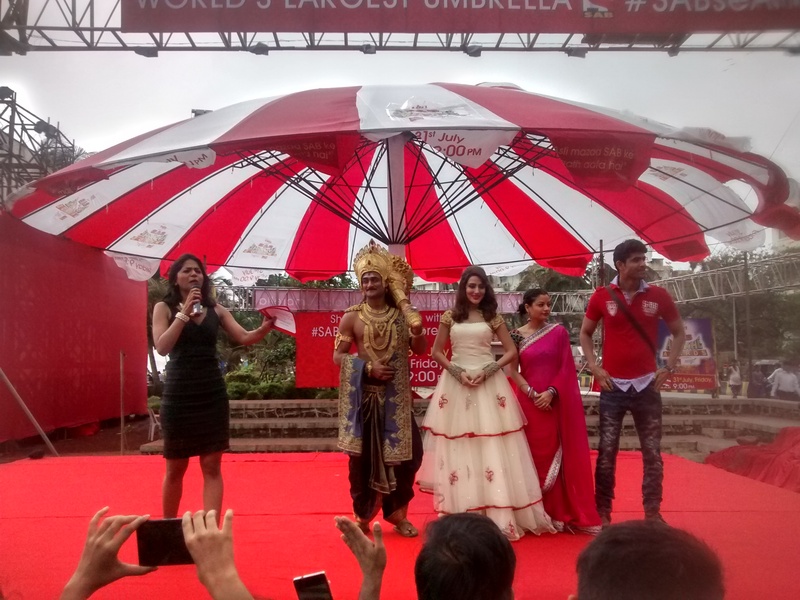 Sudeepa Singh, Playing Rani pari in Baalveer, Punit Talreja, who plays Hemant Ghotala in Badi Dooooor Se Aaye and Shruti Rawat, who plays Bhairavi in Badi Dooooor Se Aaye unveiled the SABseAnokhaUmbrella. The entire climate was jolting and fans were occupied with clicking photos of their most loved actors. I could see the energy and eager fans thundering to get a look of “Yamraj”. What’s more, Yam was excited to see Anokha Umbrella and told अद्भुत (heavenly). SAB TV brand message – “Asli Mazaa sab ke saath aata hai” Exactly it advances unity and sends the solid message to everybody to meet up under one Umbrella. We might not have everything in perfect order, but rather together we have it all.